Aviat Space Environ Med. 1996 Oct;67(10):955-62. Visual and vestibular components of motion sickness. Eyeson-Annan M, Peterken C, Brown B, Atchison D.
Centre for Eye Research, School of Optometry, Queensland University of Technology, Brisbane, Queensland, Australia. The relative importance of visual and vestibular information in the etiology of motion sickness (MS) is not well understood, but these factors can be manipulated by inducing Coriolis and pseudo-Coriolis effects in experimental subjects. We hypothesized that visual and vestibular information are equivalent in producing MS. The experiments reported here aim, in part, to examine the relative influence of Coriolis and pseudo-Coriolis effects in inducing MS.
We induced MS symptoms by combinations of whole body rotation and tilt, and environment rotation and tilt, in 22 volunteer subjects. Subjects participated in all of the experiments with at least 2 d between each experiment to dissipate after-effects. We recorded MS signs and symptoms when only visual stimulation was applied, when only vestibular stimulation was applied, and when both visual and vestibular stimulation were applied under specific conditions of whole body and environmental tilt. Visual stimuli produced more symptoms of MS than vestibular stimuli when only visual or vestibular stimuli were used (ANOVA F = 7.94, df = 1, 21 p = 0.01), but there was no significant difference in MS production when combined visual and vestibular stimulation were used to produce the Coriolis effect or pseudo-Coriolis effect (ANOVA: F = 0.40, df = 1, 21 p = 0.53). This was further confirmed by examination of the order in which the symptoms occurred and the lack of a correlation between previous experience and visually induced MS. Visual information is more important than vestibular input in causing MS when these stimuli are presented in isolation. In conditions where both visual and vestibular information are present, cross-coupling appears to occur between the pseudo-Coriolis effect and the Coriolis effect, as these two conditions are not significantly different in producing MS symptoms. Many patients come to us with motion-sickness type symptoms. 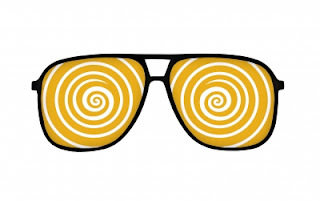 Dizziness and sensitivity to light are common symptoms. Many of these patients have been to many other specialists, such as the family physician, neurologists, vestibular specialists, ear, nose and throat specialists and even acupuncturists. Typically, all of these professionals tell the patient that there is nothing wrong. That may be true as far as their particular specialty is concerned. This is not surprising, as studies have shown that vertigo is an underestimated symptom of eye and vision disorders. Many professionals that a patient consults are simply not equipped with the knowledge or experience to diagnose an eye or vision problem that can cause vertigo-like symptoms. However, something is definitely wrong. Many of these patients can no longer drive safely and cannot even go to the supermarket without feeling nauseous. One recent case found us after she went to her optometrist after consulting various doctors for over a year. The optometrists found that the patient's eyes were misaligned, a condition that commonly causes the dizziness and vertigo-like symptoms she was experiencing. 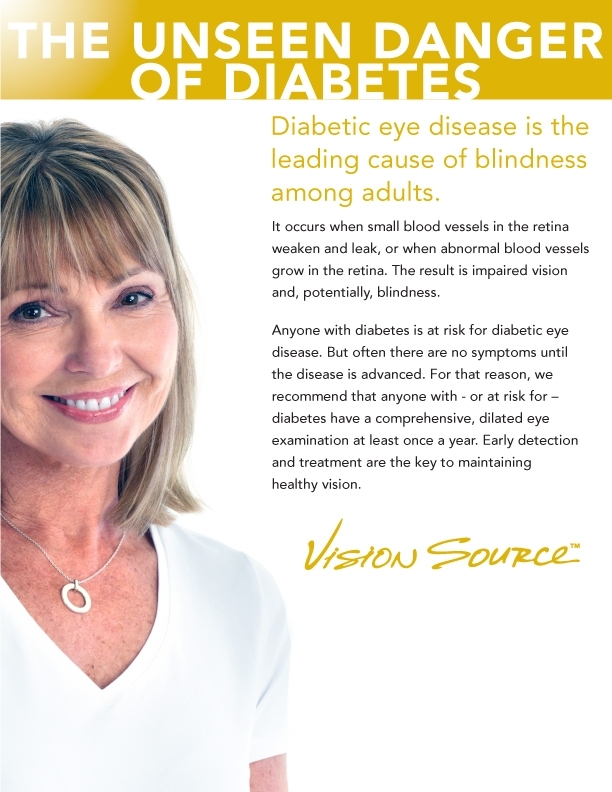 The patient was referred to our Vancouver eye clinic for treatment. Patients like this often suffer from "see sickness syndrome", also known a neuro-ocular vestibular dysfunction - it has also been referred to as supermarket syndrome because trips to the supermarket often trigger nausea in these patients. Dynamic adaptive vision therapy is an effective treatment. Vision therapy relies on the principle of neuroplacticity and involves a doctor and therapist treating the patient with exercises to "re-wire" the eye-brain connection, teaching the patient new eye and motion related skills. In this way, vision therapy is similar to speech therapy or occupational therapy but focused, of course, on the eyes and visual system. See Sick Syndrome (SSS) is the combination of motion sickness and photophobia. SSS is not well understood by many professions and is not typically diagnosed during a standard eye or medical examination. However, many patients will recognize themselves when presented with a list of symptoms. Based on clinical observations by Dr. Gillilan (an American optometric physician and a leading doctor in this field), SSS occurs in approximately 6% of the female population and 1% of the males, and it is usually familial. Dr. Gillian's website is at http://www.seesicksyndrome.com/. The symptoms of SSS and the ability to manage motion can vary from day to day. One reason is that motion effects can be cumulative. An exposure to motion can make one less able to handle a new exposure for up to three days later. SSS symptoms are usually mild in children but become more severe over a period of years. This is may be caused by an avoidance of symptom producing activities by adults and the resulting loss of adaptation and coping strategies. Almost all SSS patients have life-long histories of carsickness, which occurs almost exclusively in the daytime. The reason for this is that you see less peripheral motion when driving at night. Reduced awareness of objects in the periphery (functional tunnel vision) also occurs in SSS but patients usually don't notice this although the often report a history of clumsiness, which is consistent with having reduced peripheral awareness. Here is a chart of symptoms organized according to severity and symptom category that proves more detail and outlines the breadth of the SSS cases that we encounter. · Cannot read (look down) in a car more than a few seconds without nausea, headache and/or dizziness. 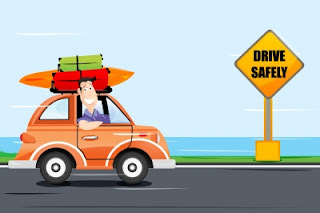 · Necessity to be the driver to avoid nausea while traveling in a car, even on a straight road. · Inability to look backwards in a car without nausea. · Nausea when driving on tree lined roads when the sun casts shadows across the road. · Riding in or even driving a car for more than a few minutes may result in severe HA, fatigue, and/or nausea. · Unusual sensitivity to light to a moderate degree. · Must wear sunglasses outdoors, even on cloudy days. · Feels uncomfortable in brightly lit buildings or places with shiny floors such as grocery stores, classrooms, offices, or malls. · Eye pain or headache when exposed to a “flash of light” or being outside without sunglasses, even on cloudy days, or being in a brightly lit place. · Unusually long after images after looking at most sources of light (several minutes). · Computer screen brightness causes discomfort. · Sensation of being “blinded” when looking at oncoming headlights. · Severe sensitivity to light both indoors and out. · They are the type of person to turn off lights and pull down shades. · Inability to sit close to a movie screen or watch movement of a train or a carnival ride without nausea, headache, and/ or dizziness. · Inability to look at stripes or watch rapid movement on television without nausea,headache, or dizziness. · Inability to watch more than minimal motion without dizziness or nausea, such as watching ones own hand while eating. · Frequent and sometimes daily “dull” or “pressure” headaches. · Exposure to any activities which involve observations of movement or eye movement for more than a few minutes can cause severe headaches which may last a few days. · Constant or very frequent nausea, headaches, or dizziness which can range from mild to severe. Touches walls or tables while moving through space. People often assume that most autism spectrum behaviors are caused by the disorder. But they could be caused by underlying and treatable vision problems. Read more. If your child exhibits these behaviors, he or she may have a visual-perceptual problem that impacts learning. The list comes from the recent article titled Visual Impediments to Learning published in the journal Optometry & Visual Performance. 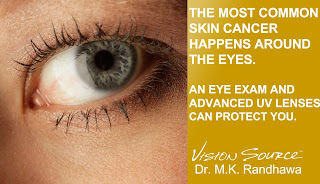 Optometrists are always mindful of the possible development of skin cancer in the skin surrounding the eyes. 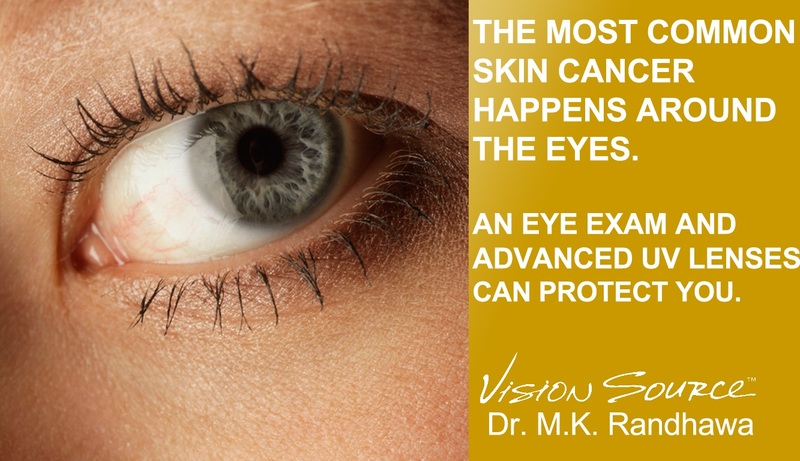 In fact, the eyelid region is one of the most common sites for nonmelanoma skin cancers. Skin cancers of the eyelid, including basal cell carcinoma, squamous cell carcinoma, and melanoma, account for five to 10 percent of all skin cancers. The best way to prevent this type is skin cancer is to reduce your exposure to UV radiation which comes with sunlight. The best way to do that is to wear sunglasses and eye glasses with advanced and more effective UV technology built into the lenses. With traditional lenses, UV radiation is blocked when it hits the front of the lens but you get 50% of your UV exposure from radiation that reflects into your eye from the back of the lens. New lens technology can prevent the latter and give you vastly superior protection. Ask for lenses that have an ESPF rating. Cook BE Jr, Bartley GB. Treatment options and future prospects for the management of eyelid malignancies: an evidence-based update.Ophthalmology 2001 Nov; 108(11):2088-98. Abraham J, Jabaley M, Hoopes JE. Basal cell carcinoma of the medial canthal region. Am J Surg1973; Oct; 126(4):492-5. New surgery turns brown eyes blue permanently - what about the cancer risk? Drivers need good vision to drive safely and legally. At our Vancouver eye clinic, our eye doctors diagnose and treat many eye and vision conditions that affect driving. But did you know that dry eye syndrome is one of them? What can go wrong if you don't get treatment for your dry eye? Some people are are wondering about whether vision therapy is as effective for adults with convergence insufficiency, as it is for children. The developmental optometrists at our Vancouver eye clinic have successfully treated many adults with convergence insufficiency using vision therapy. And, if that clinical experience were not enough, the scientific research backs it up. In 2005 Scheiman et al. published a clinical trial in Optometry and Vision Science on the vision therapy treatment of convergence insufficiency in young adults ages 19-30. Orthokeratology is one of the specialized treatments we provide at our Vancouver eye clinic. Naturally, we are please to see the continual flow of research studies that support its effectiveness. The July 2013 issue of the journal Eye & Contact Lens published the latest in a long line of studies that have shown that orthokeratology is effective in stabilizing or slowing the progression of myopia in children. Orthokeratology is a doctor-provided vision correction treatment that reshapes your cornea while you sleep so thatyou have perfect vision during the day. No glasses, no contacts, no surgery. Orthokeratology is also sometimes caled "corneal reshaping", "corneal molding", "overnight vision correction" or "ortho-K". Eye doctors will tell you that some young people dislike going to the eye doctor because their eye-glasses prescription goes up at every visit. This phenomenon is known as myopia progression. Myopia is commonly called nearsightedness. Not only does myopia progression mean increased inconvenience as the patient's vision worsens and thicker or more expensive lenses, high myopia puts a patient at risk of serious eye diseases that may result in blindness, such as glaucoma and retinal detatchment. Therefore, any treatment that can slow or stop the progression of myopia is welcome. The World Health Organization predicts that there will be 2.5 billion nearsighted people by year 2020. Approximately 80% of elementary students in Singapore are myopic. 90% of college students in China are nearsighted. The National Institutes of Health reports that in 1972, the frequency of myopia was 25% in U.S. individuals aged 12 to 54. By 2004, it had increased to 41.6%. (Roan,2010). In 2004 approximately 26% of all people living in the U.S. and Europe were myopic. The incidence of myopia in "hunter-gatherer" societies where children perform little near work, is about 1%. Orthokeratology has been shown to stop or slow the progression of myopia in children in a number of studies. The latest study, published in the July 2013 issue of the journal Eye & Contact Lens sought to determine whether overnight orthokeratology has an impact on a child's specacles prescription over a period up to 8 years. In the study, a group of kids with no orthokeratology treatment was compared with a group that received the treatment. 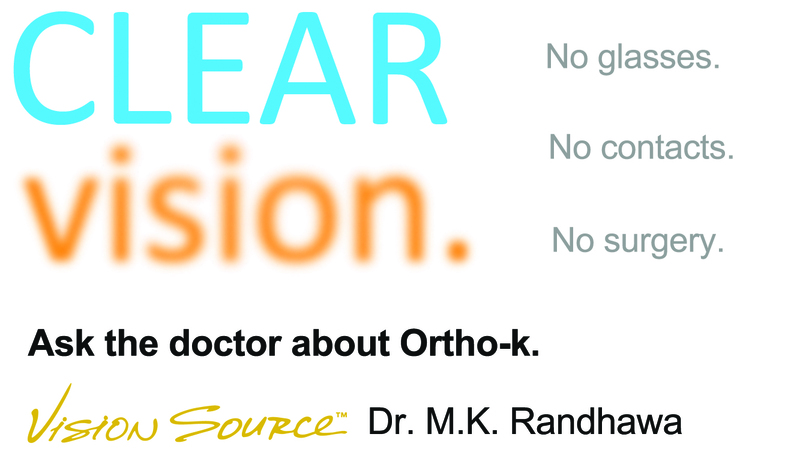 The results shows that on the whole, the children treated with orthokeratology showed a significantly more stable specatcles prescription than the chidlren who did received orthokeratology treatment. 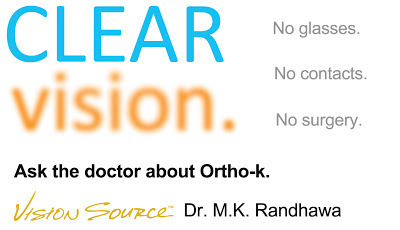 An impressive 64% of the eyes treated wtith orthokeratology stopped getting worse all together. As the authors put it, they "demonstrated an apparent total arrest of manifest myopic refractive change." The study's authors concluded that the study provides evidence that orthokeratology can reduce the rate of progression of childhood myopia over the long term. A study of students with below average reading scores found that providing visual attention therapy can significantly improve their attention and reading comprehension. Visual attention is one component of a group of skills related to visual information processing- the way the brain takes in and makes sense of the images received by the eye. A June 2013 study in the journal Acta Opthalmologica compared tear function in diabetic and non-diabetic patients. The study concluded that the tear functions are worse in diabetic patients compared with the non-diabetic group. Read more. 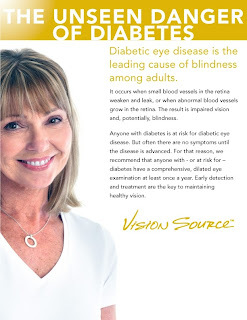 The most worrying aspect of diabetes may be the fact that in the early stages diabetic retinopathy may produce no visual symptoms at all. An article published in the May 2013 issue of the journal Clinical Ophthalmology confirms that visual input is important in dyslexia and that the focus on language and sound does not fully account for the disorder. Developmental dyslexia affects almost 10% of school-aged children and is a significant public health issue. It is widely acknowledge that dyslexia involves language and sounds and issues relating to the conversion between written and spoken language. Numerous scientific studies have also documented the presence of eye movement anomalies and deficits of perception of low contrast, low spatial frequency, and high frequency temporal visual information in dyslexics. Anomalies of visual attention with short visual attention spans have also been demonstrated in a large number of cases. Spatial orientation is also affected in dyslexics who manifest a preference for spatial attention to the right. This asymmetry may be so pronounced that it leads to a veritable neglect of space on the left side. This is why eye doctors, especially developmental optometrists (who already have experience and training in treating vision related cognition problems such as visual attention deficits and other visual information processing deficits using eye-brain rehabilitation and vision therapy) need to be involved in providing care for dyslexics. Daughter of US President treated with vision therapy.